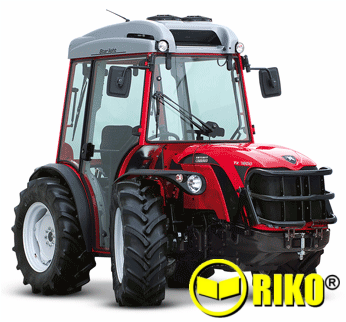 71hp front steering, Bi-directional tractor, 2 years warranty. ﻿TRX 7800 S isodiametric tractor with Rev-Guide System RGS™, the integrated system of technical solutions that allows you to rotate the driving position by 180° to use front tools such as fork lifts, arms, blades, shredders and snow blowers with ease. Its wide versatility of use makes this tractor suitable both for agriculture and civil maintenance at large sports centres, parks and public spaces, where it offers versatility in all seasonal activities. 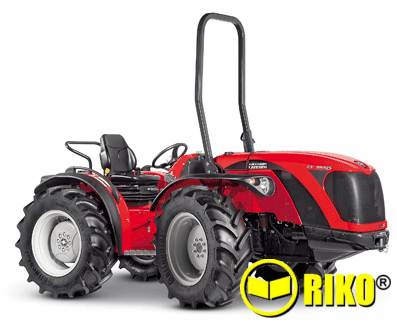 The TX and TRX 7800 S Series (71 hp) are professional and reliable tractors based on a tried and tested technology. 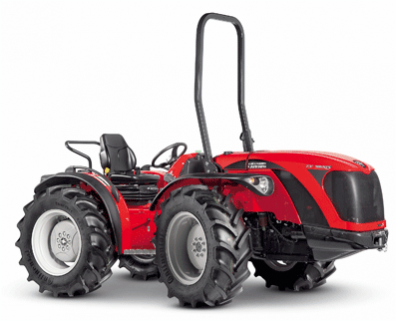 Consistently with the family-feeling focus of the topof- the-range AC tractors, the design of the newborn “S” series helps improve both appearance and functionality. The strategic decision to fit direct injection engines by the finest international producers reduces consumption and maximises performance. Designed to perform routine farming work or process crops on flat or sloping ground, the TX and TRX 7800“S” assure maximum adherence in all situations thanks to their perfect weight distribution and the four large isodiametric driving wheels, thus achieving constant traction with minimum ground compaction. To minimize surface damage to the soil, the front drive can be disengaged at any time.